In the latest indication of how the Democratic Party's formerly centrist, corporation-friendly establishment is tacking to the left, presumably to capitalize on the enthusiasm generated by "Democratic Socialists" like Bernie Sanders and Alexandria Ocasio-Cortez, Senate Majority Leader Chuck Schumer has joined with socialist standard-bearer Bernie Sanders to author an NYT op-ed decrying the corrosive influence of corporate stock buybacks. The pair used the editorial to announce a bill they are co-sponsoring that calls for a ban on stock buybacks unless companies can show that they have "invested in workers and communities" first (because when has the government forcing decisions about capital allocation over management ever gone wrong). If Schumer and Sanders have their druthers, corporations won't be able to buy back their own shares unless they first pay all of their workers a minimum wage of at least $15 an hour, offer seven days of paid sick leave, and offer satisfactory pension and health benefits. Because, in the Democrats' estimation, buying back shares while pensions remain underfunded is simply immoral. 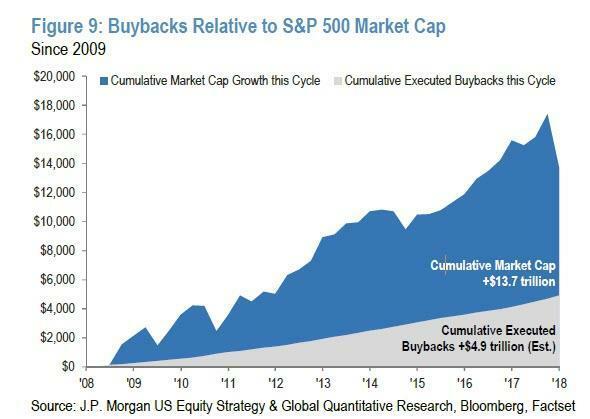 As regular Zero Hedge readers are probably aware, buybacks have been second perhaps only to QE in driving markets higher over the past decade. 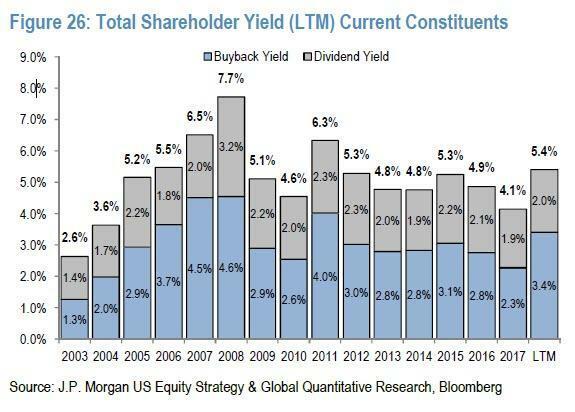 According to JPM, since 2009, S&P 500 companies have returned some $5 trillion to shareholders, contributing ~2% to annual EPS growth. S&P 500 companies set a record last year after buying back roughly $1 trillion of their own shares. And while the number is expected to dip in 2019, at $800 billion, it will remain high relative to recent history. 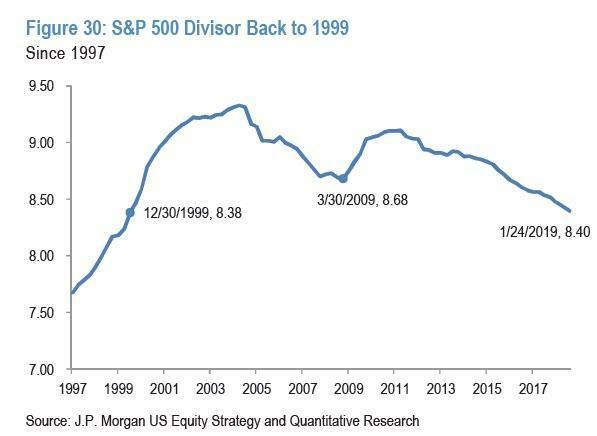 ...and sent the S&P 500 divisor back to levels last seen in 1999. Touching on the eternal capex vs. buyback debate, Sanders and Schumer pointed out that companies apparently now view buybacks as preferable to capex and investing in their workers, a sign that boardrooms have become "obsessed" with maximizing shareholder earnings. But all other metrics aside, according to Sanders and Schumer, with fewer Americans sharing in the wealth of the stock market's advance (the vast majority of equity ownership is concentrated among the wealthiest 10% of Americans) wages indexed for inflation have declined, leaving workers relatively poorer today than they were in the early 1970s. Of course, the bill has no chance of passing the Senate (though, if it gains similar traction in the House, it may have a chance of passing that chamber). And it's fairly unlikely that Trump would sign anything so strongly endorsed by one of his political arch-rivals. 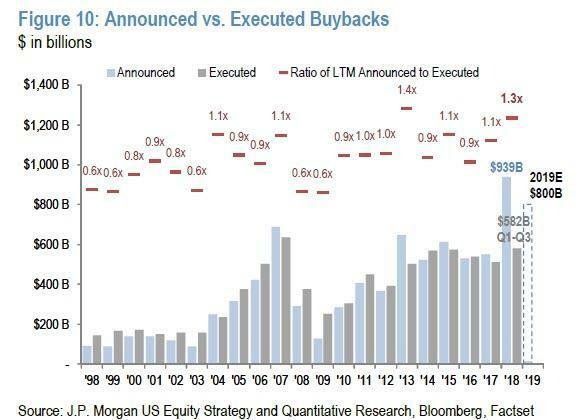 But corporations and executives reliant on buybacks to boost their equity-based compensation will take notice. This could be the beginning of the end of the good times. Because once buybacks are taken out of the equation, and should Democrats win the presidency in 2020 and also sweep Congress, it's difficult to imagine the market replacing that bid (unless wage gains spur the creation of hundreds of millions of active RobinHood accounts). 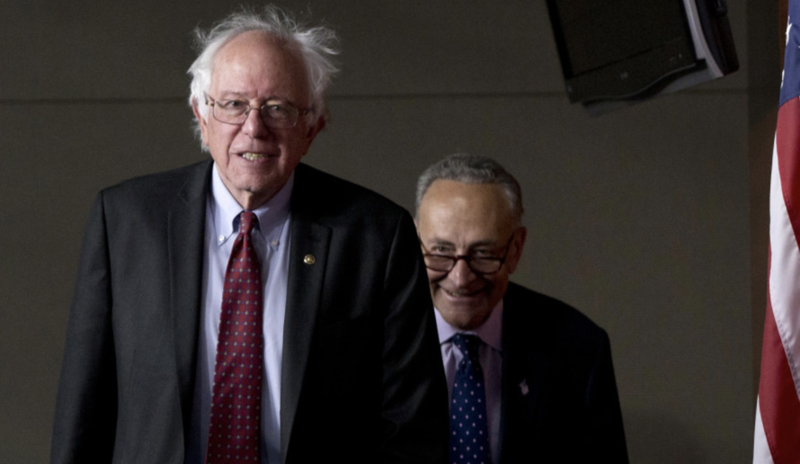 Chuck Schumer and Bernie Sanders want to prevent U.S. corporations from buying back shares or paying dividends unless workers are first paid benefits that the government believes they deserve. This form of socialism is called fascism. Political risk for U.S. investors is rising!